REGARDLESS of where you live, petrol price hikes are having a significant impact on household budgets at the moment. In almost all capital cities, the cost of unleaded fuel his hit or passed $1.60 per litre - and it's worse in regional and remote areas. 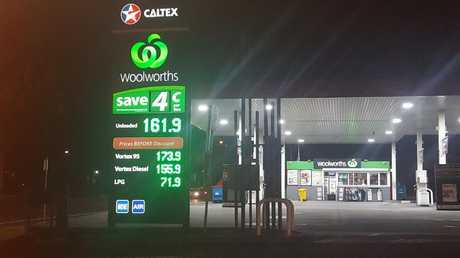 Now, analysis by comparison website finder.com.au has shown how dramatically the cost of filling up has jumped over the past 12 months. Across Australia, in the year to October, the combined average petrol price has skyrocketed by 20.7 per cent. "That figure is 10 times the average wage increase Australians have pocketed in the past year," finder.com.au's head of research Graham Cooke said. "As to what's behind it, it's a triple whammy. First of all, the Australian dollar is weaker than it has been and secondly, oil prices are higher than they were a year ago. "But thirdly, the ACCC is looking into petrol producers and suppliers to some degree exploiting the situation to make a bigger margin." According to the analysis, the biggest annual increase was seen in Sydney, where motorists are paying 22.5 per cent more at the bowser, followed closely by Canberra on 21.5 per cent. Melbourne came in third with an annual average increase of 20.8 per cent, followed by Darwin on 20.4 per cent, Brisbane on 20.3 per cent and Perth and Adelaide both on 19.3 per cent. 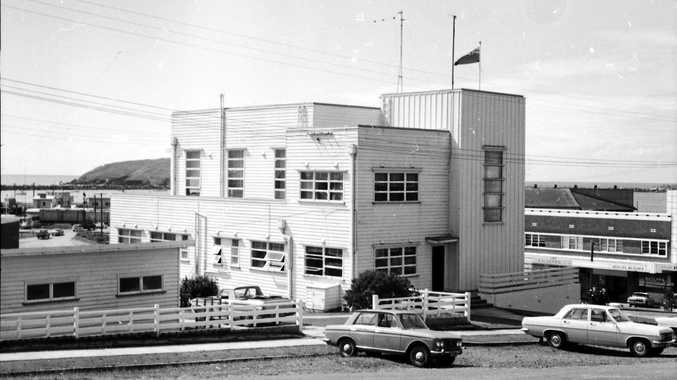 The capital city with the smallest increase over the past 12 months - albeit still a decent whack to the hip pocket - was Hobart on 16.4 per cent. "In the past year on average, people are paying between $350 and $400 extra per vehicle. That's calculated on average mileage on cost," Mr Cooke said. "That can be quite a big impact on families who are already struggling with the cost of living and skyrocketing electricity prices. Families are under increasing pressure to manage their expenses." According to the monitoring service Motormouth, the average cost of unleaded fuel in each capital city on Wednesday was: Melbourne $159.6; Sydney $149.7, Brisbane $153.6, Adelaide $164.9, Canberra $165.4, Darwin $162.6, Hobart $164.4 and Perth $159.1. In many cities, the cost of unleaded petrol has hit or passed $160 per litre. 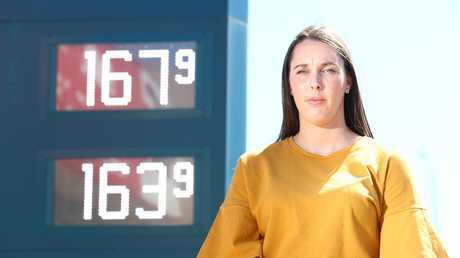 The Australian Competition and Consumer Commission said petrol prices move up and down in cycles - but they tend to change depending on location and time of the year. "In these cycles, prices steadily go down for a period followed by a sharp increase," the ACCC said. "Price cycles are the result of deliberate pricing policies of petrol retailers, and are not directly related to changes in wholesale costs." It monitors current cycles in each capital city to provide consumers with advice on the day when it's likely to be cheapest to fill up. Mr Cooke said it's one example of technology empowering motorists to make the best budgetary decisions when it comes to fuel. "It's a lot easier to check live, real-time petrol prices at multiple stations near where you live. You can compare and shop around accordingly," he said. "If you're in the demographic where these increased prices are hurting, it pays to get onto those services and find the best deal possible." 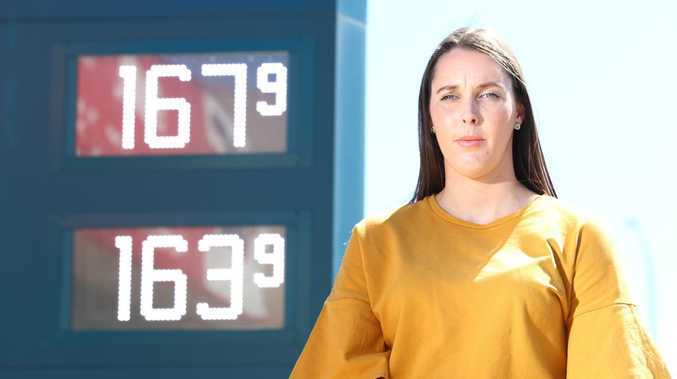 Last week, some 90,000 people pledged to take part in a two-day fuel strike, boycotting petrol stations to send a message about how fed up motorists are. And a growing number of Australians are considering alternatives to driving their own vehicle, Mr Cooke said. "There's been growth in demand for services like GoGet, where you use a car share instead of owning your own," he said. "The cost of owning a car is incredibly expensive with registration and upkeep, not just petrol. If you're not driving every day - if it sits in your garage most days and is only used once or twice a week - it can make less sense to own a car." The bad news is it's unclear if relief is in sight, as world oil prices continue to climb and the Australian dollar shows little signs of immediate recovery. "There's more worrying news for households doing it tough," Mr Cooke said. "We survey the top Australian economists every month and ask what they think will happen the Reserve Bank's cash rate. Almost all of them now expect rates to increase towards the second half of next year. "Not only are households dealing with high electricity prices and high petrol prices, but there's probably more pressure coming in the form of mortgage interest rate hikes. "It's a time to really shop around. It pays to look for a better deal with all of your household expenses."